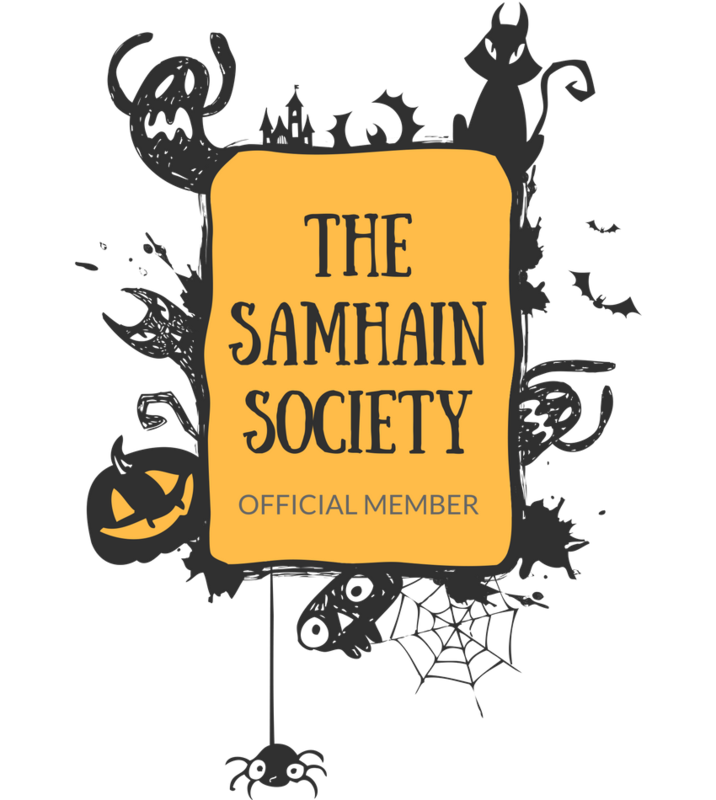 Jack-o-Lantern Cardigan - Throw this jack-o-lantern cardigan, also available on Hell Bunny, over the Salem Mini Dress above to stay warmer if you are heading out to a haunted house or maze on a chilly October night. 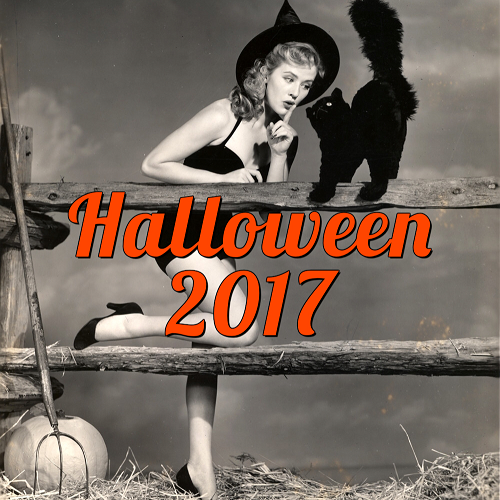 Sophi Reaptress' Halloween Leggings - These gorgeous handmade leggings come in many different kinds of patterns and styles. 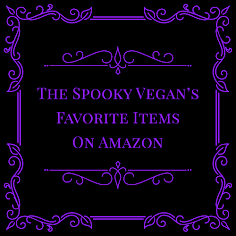 The ones shown above are holographic spiderweb leggings! All leggings are made by hand by artist Sophi Reaptress. The Corset Skirt in Flocked Deadly Damask Print by Elvira Mistress of the Dark - Pin Up Girl Clothing has an exclusive line from Elvira, Mistress of the Dark, including this to-die-for Haunted Mansion-inspired skirt! 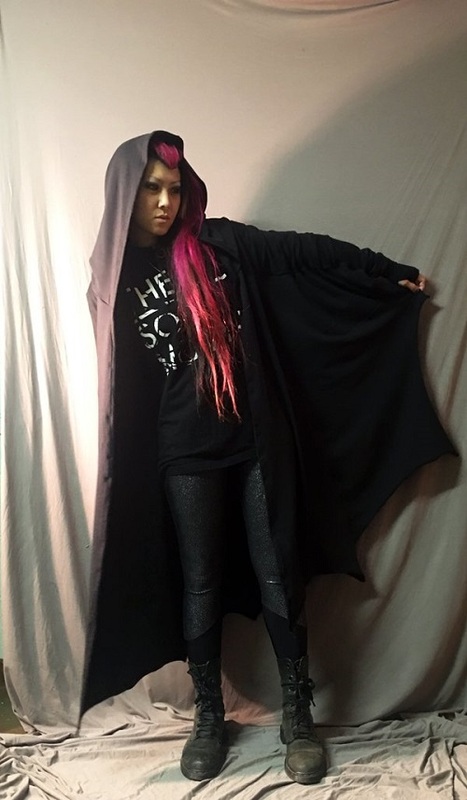 Sophi Reaptress Bat Cardigan - I should do an entirely separate post on Sophi because all of her designs are killer and I need them all! This new bat cardigan is an exclusive design for this Halloween and features a deep hood, pockets, and thumb holes. Doesn't it look so comfy?! 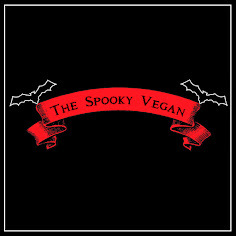 I would wear this year-round! 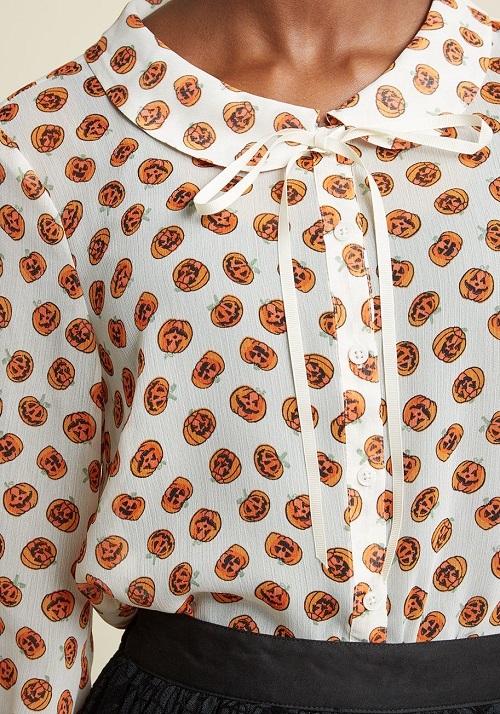 Sheer Button-Up Tie-Neck Top in Pumpkins - This jack-o-lantern blouse from ModCloth is lovely, and is subtle enough to wear to work, even if you work in a stuffy corporate office. I love the Peter Pan collar detail, too. What the Heart Flaunts Mini A-Line Dress in Macabre - This feminine A-line dress features a vintage-inspired print that just screams Halloween! I adore the print of this fabulously frightful dress available from ModCloth. Lucy Furr Halloween Sweater - Black cats and Halloween go together like peanut butter and jelly, so this sweater featuring a grinning black cat from Sourpuss Clothing is perfect for chilly autumn days frolicking through piles of fallen leaves. 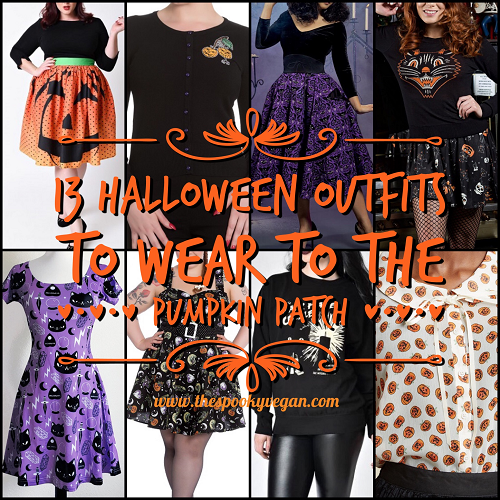 Haunted House Skirt - If you want to make a splash this Halloween season and stand out amidst a sea of black and orange, then you need this boo-tiful blue skirt with a stunning haunted house print, made by Sourpuss Clothing! 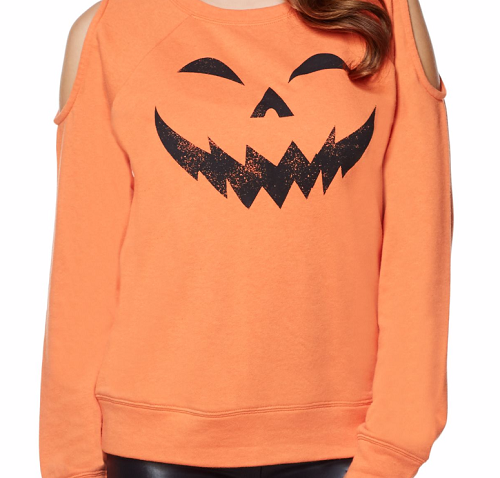 Pumpkin Sweatshirt - If you're looking for something a bit cozier to wear this autumn, how about this open shoulder sweatshirt from Spirit Halloween? I am all about comfort and this looks like something to wear while enjoying the brisk fall weather, picking pumpkins, or watching Halloween movies on the couch. Cat Magic Skater Fit and Flare Dress - How purr-fect is this handmade dress from Em and Sprout?! I love the color and the adorable print, complete with "meow-ja" planchettes, magic swords, crystal balls, lightening bolts, and black cats. Orange Pumpkin Dot High Waist Circle Swing Skirt - Be the pumpkin spiciest this season with this jack-o-lantern skirt from Unique Vintage. 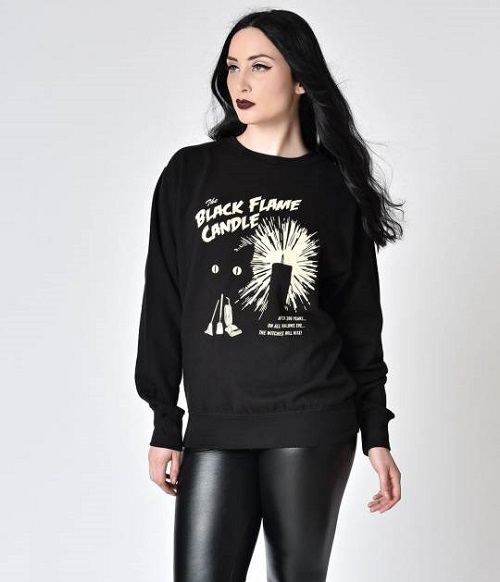 Black Flame Candle Crewneck Sweater - You can never have enough cozy sweaters, even if you live in place that is far too hot for autumn like I do. And I can never resist anything Hocus Pocus-themed, like this amazing Black Flame candle sweatshirt from Whosits and Whatsits! I love the retro ones! I’ve alre spent way too much on clothes or I’d get Salem, heart flaunts and cat magic! I love all the retro prints!